It is always an absolute joy to watch a craftsman at work as they always make the project they are working on look so easy. Malcolm and I took time out of our schedule to join the Master and Mistress of the Worshipful Company of Joiners for a demonstration of wood turning at the Dutch Church in the City. 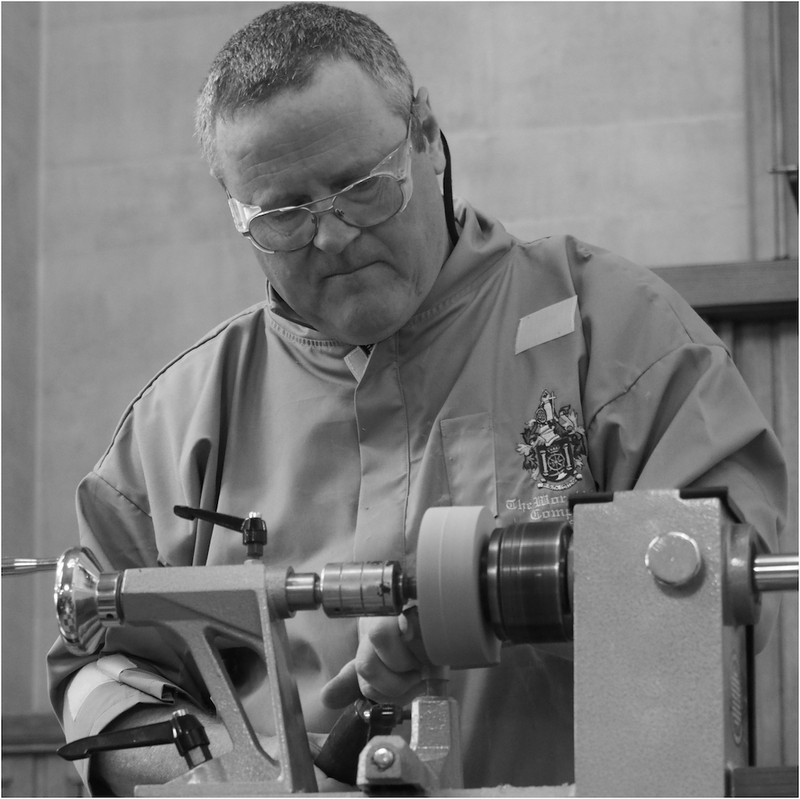 Liveryman Les Thorne had set up his lathe in the church, along with a video camera so we could see his work close to hand. His plan was to turn two pieces of wood into a single candlestick and that is just what he did. As he worked, he explained every action he took and showed us the tools of his trade, which he had made himself! After the demonstration there was a raffle, raising funds for the WCJ Charitable Trust, to win the candlestick itself. Sadly, we did not win, but we will remember the afternoon for quite some time to come! Who doesn’t love a curry! Answer, 1500 guests who attended the ABF Big Curry Lunch raising funds for all members of Her Majesty’s armed forces. Renter Warden Simon Martin is a member of the Soldiers Charity committee arranged for a group of some 20 Tylers and Bricklayers to attend the Curry Lunch at Guildhall. We gathered in Livery Hall for a pre-lunch glass of bubbly and then headed into the Hall for a delicious curry. As usual I chose the wrong queue to join, but once we got our meal, I can reveal the food was delicious. After lunch it was off out into the Ambulatory to do some shopping amongst the Livery Company stalls. I can report that the strawberries from the Fruiterers were delicious! I was delighted to accept an invitation from PACT to attend the Sir Harold Hood Memorial Lecture given by The Recorder of London, HH Judge Nick Hilliard QC. I had met Nick a few weeks earlier and from that conversation it was easy to tell that he is passionate about reducing knife crime. In his lecture, He made it most clear that there was a lack of resources to help reduce knife crime, that support for young people had to come from the home, and to encourage young people off the street and find volunteers to help the organisations trying to achieve a reduction in crime. Much of his lecture was given up to talking to four ladies, the first of which was Kerry whose then husband had been arrested and was found guilty of a crime. She decided that this was not the life for her, went to university, achieved a degree and now works as a volunteer with PACT. Her aim was to set up a university scholarship to support a student whose parent had been in prison. Pastor Lorraine Jones had lost her son, Dwayne. He had gone to help someone who had been attacked, but was stabbed with a sword and sadly died two days later. Instead of descending into depression Lorraine decided to start the “Dwaynamics” project in the LB of Lambeth. Young people from the age of 5 upwards can join this boxing club which has now grown to a membership of 135, and is hoping to move to new premises. The Club has the full support of the local borough commander in the Metropolitan Police and PCs in the area go along to help with fitness training. Lorraine also told us that she had been made “Inspirational Woman of the Year”. We also heard from volunteers who give advice and help to the families of prisoners and are there to help witnesses attending court at the Old Bailey in relation to cases involving members of their own families. This was one of the occasions that will remain as a highlight of my year as Master and reminds us all of the importance of helping others. As we all know life doesn’t always follow Plan A. News had come through to the Learned Clerk that our Master and Clerk’s Lunch at HQS Wellington was under threat as a result of a change of caterers so the Clerk and I took the opportunity to view Brewer’s Hall as an alternative venue. The Hall is tucked away behind Guildhall in Aldermanbury Square and plays home to the Worshipful Company of Brewers. It is the third Hall for the Company, built after WW2 and its main rooms are lined with wood panelling and with plenty of daylight coming in and would suit one of our smaller Company events. A decision on whether to use Brewer’s Hall now follows, so watch this space! The Worshipful Company of Tylers and Bricklayers is part of the Group of Construction Livery Companies and it was with pleasure that I accepted an invitation to join the Worshipful Company of Masons for their Lady Day Court lunch at Mercers Hall. In my working days I used to visit the Skillbuild National Finals and would spend time fascinated by the stone masons working on their competition pieces, turning a piece of stone into what to my mind was a piece of art. The Mason’s Company fully support the craft of stone masonry and it was a pleasure to meet and talk to members of the Company and to learn more about how the Company works with stone masons in the UK. 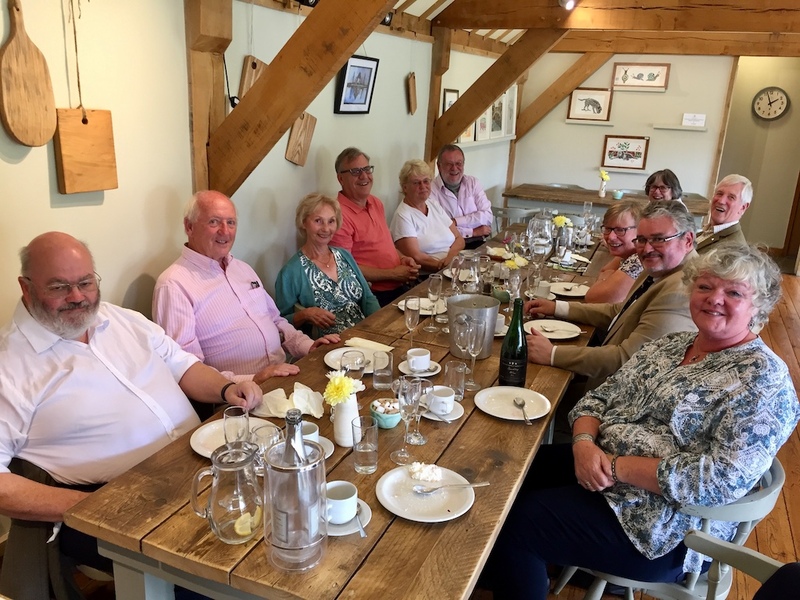 I have now learned to expect the unexpected with Livery engagements and had great fun exchanging stories on bringing up grandchildren and discussing whether or not one should take up a hobby of hop growing and operating a micro-brewery! Malcolm and I were honoured to be invited to attend the Lord Mayors Banquet for Master, Prime Wardens and the Upper Bailiff of the Livery Company of the City of London which took place at Mansion House. As we entered Mansion House an honour guard from the Honourable Artillery Company was there to greet us and all the guests. The Lord Mayor, Alderman Peter Estlin, his wife, and the Sheriffs and their Consorts greeted all the guests before joining us for a glass of Champagne before dinner. On these occasions you can never be sure who you will be seated with, but we were fortunate to be seated with His Honour Judge Nick Hilliard, his wife Jane, The Chief Commoner and Master Glover, all of whom were excellent company and we exchanged advice on how to refurbish a kitchen and discussed the more difficult topic of reducing knife crime. Speeches were given by Master Mercer on philanthropy, The Lord Mayor, and Master Grocer who had the audience laughing at some appropriate jokes. In the guidance notes for Masters there is a “three-line whip” for the United Guilds Service which takes place annually at St Pauls on the morning after the Lord Mayors Banquet. Having said that, as we walked into St Pauls bathed in the spring sunshine it was certainly a spectacular occasion with all Masters wearing their gowns and many ladies resplendent in their spring hats! The United Guilds Service was established in 1943 as a response to the challenges faced by the City of London following the Blitz. The first service to be conducted was held on Lady Day – 25th March 1943. The King was petitioned to attend, along with Masters and Prime Wardens in their robes with such of their livery as ‘may be able’. The King did not attend; but the Lord Mayor and the Aldermen did. Dr Fisher, the Bishop of London, gave the address. The then Lord Mayor Sir Samuel Joseph hosted an ‘austerity luncheon’ after the service for the Masters and Prime Wardens. 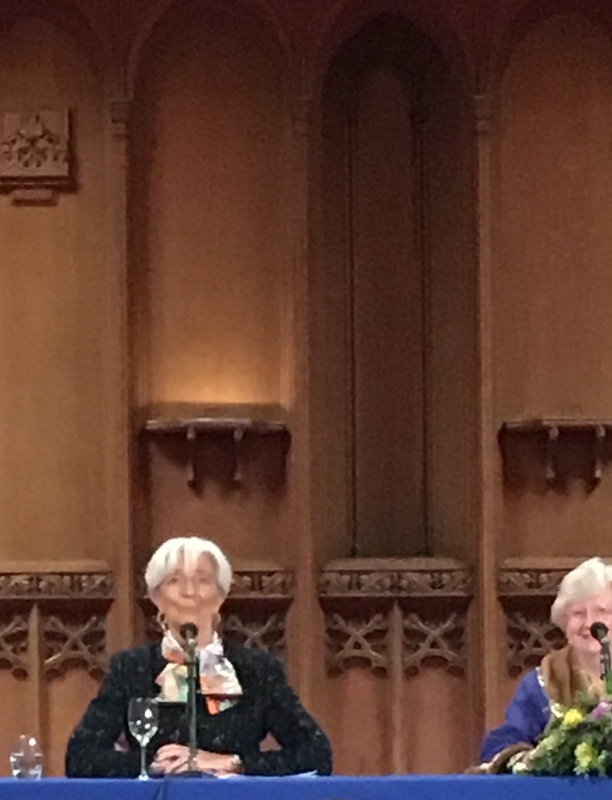 The Lord Mayor hoped that the service would be held annually as an opportunity for the Livery to ‘approach God with one voice of united prayer’. 76 years later I do believe that his wish has been fulfilled! I was particularly taken by the choristers of St Pauls, some of whom were tiny but their voices certainly were not. I was very moved by their angelic voices as they sang Psalm 85! After the Service the Tylers and Bricklayers joined guests from the Worshipful Companies of Carpenters, Gardeners and Builders Merchants and the Guild of Entrepreneurs for lunch at Carpenters Hall. 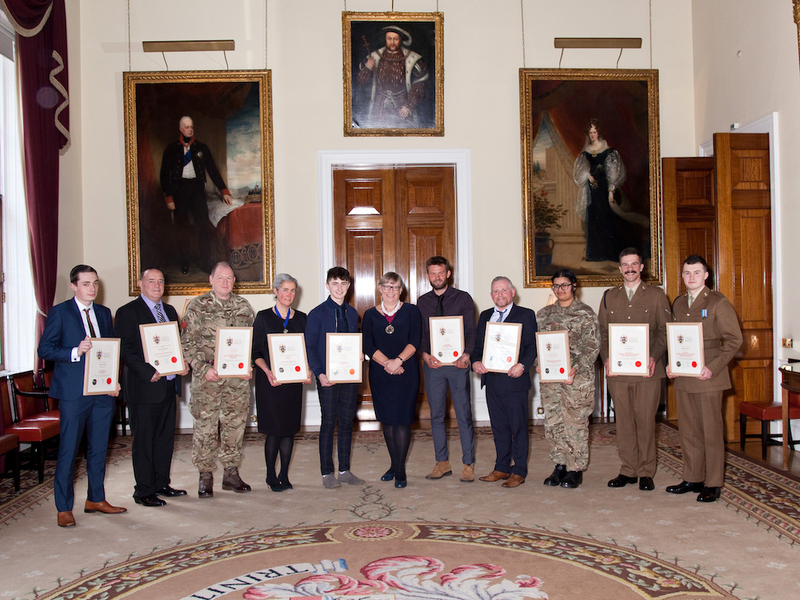 March 4 2019 marked a very special day in the calendar of the Worshipful Company of Tylers and Bricklayers as we celebrated our annual Craft Awards. However, before the Ceremony we held a Court Meeting and after the business was concluded Freemen Simon Howells, Steve Brooks and Gary Bricknell were installed as Liverymen. This was particularly special for me, coming from the wall and floor tile industry, as all three work in the industry. Our principal guest for the Awards was the Rt. Hon. Sir Lindsay Hoyle MP, Deputy Speaker of the House of Commons. Sir Lindsay had started his working life as a Bricklayer, before going on to serve in local government and representing Chorley, Lancashire as MP. Sir Lindsay spoke with warmth about his time as a brickie. Morgan Chambers from Barnsley College was awarded the E&R Fuller Award for Bricklaying. Joseph Turner from Leeds College of Building was awarded the Mason Elliott Award for Roof slating and tiling. Odhran Connolly from Southern Regional College was awarded the Montgomery Award for Wall and Floor Tiling. Best Adult Volunteer to 2 Lt Douglas Horsman. Both Kirandip and Douglas were from Erith. 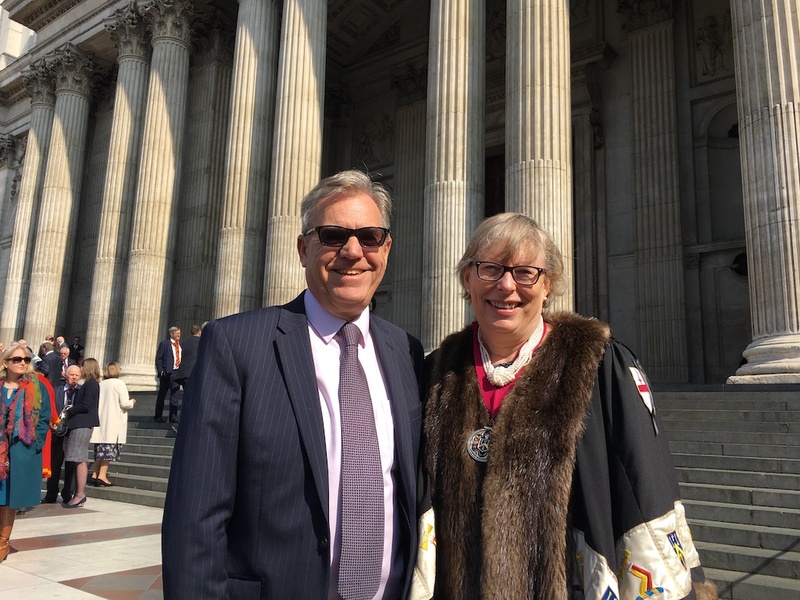 Following the reinstatement of Master Craftsmen, the elite in the industry, I was delighted that Daniel Harkin was installed as Master Craftsman Roof slater and tiler, and Liveryman Emma Simpson as Master Craftsman Heritage Bricklayer. It is a sad fact that tutors are often forgotten in the thank you process. So, I was delighted that we could recognise Chris Messenger from Leeds College of Building who had significantly advanced the level of roofing skills amongst the students at the College. On Shrove Tuesday the annual Inter Livery Pancake Races take place in Guildhall Yard. This year the sun shone on the “competitors” and the watching crowd. Team T&B was made up of just two, Liveryman Clare Banks who took part in the Ladies Race and me taking place in the Masters Race. Team Leader was my Consort. Training for the event for my part was limited to tossing pancakes in the pan the weekend before. Thankfully then, and during the race, I didn’t drop a pancake or the pan onto my foot!! Thankfully I didn’t come last in my Masters Race and Clare won her heat before losing out in the final of the Ladies Race. 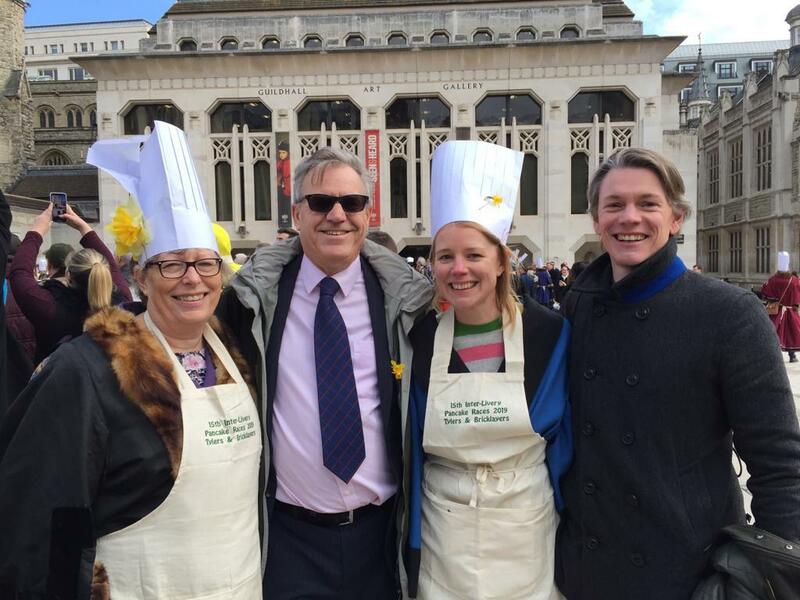 The team were supported by a number of Liverymen sporting daffodils and carnations to help raise funds for our Charity of the Year, Red Balloon. Just under £1000 was raised for Red Balloon, a goodly sum! 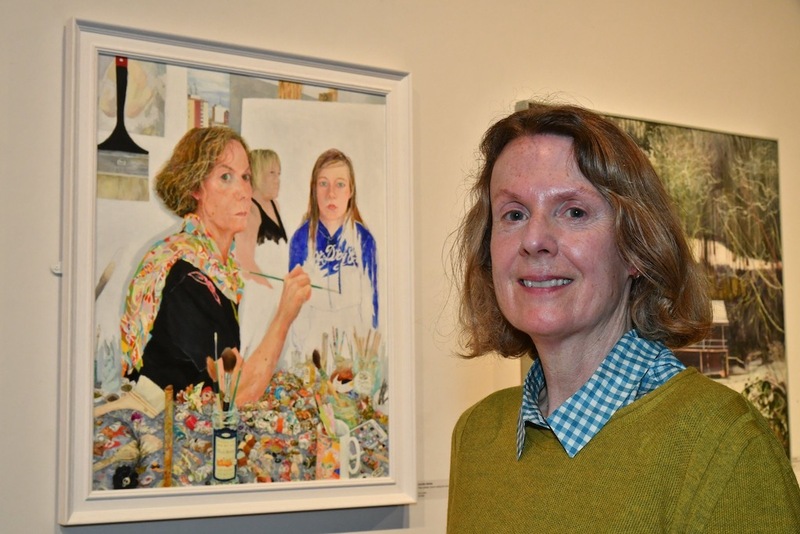 Having left the pancakes behind we headed over to the Mall Gallery for the presentation of the 2019 Lynn Painter Stainers Awards, a competition to encourage the very best creative representational painting and promote the skill of draughtsmanship. With prize money of £35,000 the Prize is one of the most prestigious awards to artists in the UK. The event had been described to me as an exhibition of paintings of a tree that looked like a tree. There were many paintings on display and the Consort and I tried to guess which of the paintings were the winners. How wrong we were in our choices! The winner was Jennifer McRae, whose painting is shown below. She won £20,000 and a gold medal. Malcolm and I had accepted an invitation to join the Worshipful Company of Chartered Accountants for their annual business lecture. The 2019 lecture was presented by well-known economist and journalist, David Smith of the Sunday Times. The theme of his lecture was the “B” word, Brexit, for those reading this in several years’ time! Whilst it was obvious which way he had voted in the Referendum, he went through his ten reasons to be cheerful about the economy of the UK post Brexit. David also referred to his “skip index”. He explained he regularly counts the number of skips in his road; one being a dire situation for the country, and four being an exceptionally healthy economy. He had reported two skips on show in the morning, so the world would not come to an end post Brexit! Whilst the Tylers and Bricklayers have their own Craft Awards other Livery Companies do not and take part in the presentation of Master Certificate Scheme Awards and City & Guild Livery Company Prizes, I do think it important to support such events. The Lord Mayor The Rt. Hon. Alderman Peter Estlin was able to take time out of his busy diary to present the awards which consisted of Livery Company Prizes, a Fellowship of City & Guilds to Walter Balmford MBE and Livery Companies Skills Council Master Certificates. Just a few steps away from Moorgate Station is the Guildhall School of Music and Drama, and it was a pleasure to meet up with Rachel Davis, their Trust Manager. Rachel is responsible for liasing with the Livery Companies who support the school. She was able to update me on the work of the School and to thank the Tylers and Bricklayers for their continued support of the arts and the School in particular. It is fair to say that the Master’s year is busy for both me and Malcolm (hubby and Consort). 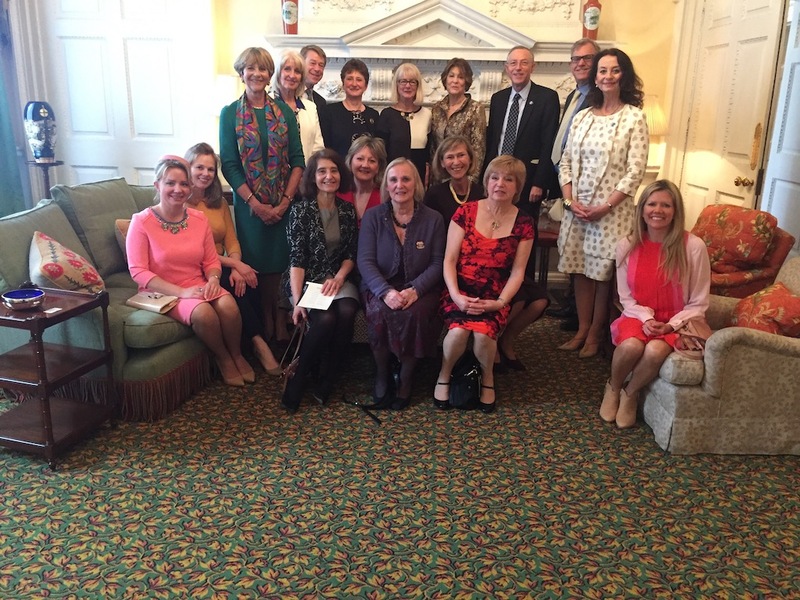 Malcolm was delighted to accept an invitation to lunch with Lady Mayoress Lindy Estlin at Mansion House. Along with two other male Consorts Malcolm joined some Lady Consorts and representatives from several charities. Before lunching the guests were taken on a short tour of Mansion House including the Old Ballroom and the “second bedroom” and after there was an opportunity to see some of the treasures housed at Mansion House. The Master understands there was much discussion on plans for the Ironbridge Weekend and the Livery Dinner to be held at Mansion House the following week. Somewhat unexpectedly I benefitted from the duties of the Almoner when I suffered a flare up of a medical condition I suffer from. Sadly, I had to cancel two engagements, rest and wait for the antibiotics to do their magic. Much to my surprise and delight the post brought a delivery of flower with best wishes for a speedy recovery. This was thanks to our Almoner Jenny Rolls who keeps up to date with “special” birthdays and events, illness amongst the Livery and keeps in contact with Liverymen who are no longer able to travel up to London for our events. The simple gift of flowers, a card or a phone call goes a long way to cheer up those in need of a fillip and reminds us all that we are all part of a caring organisation.